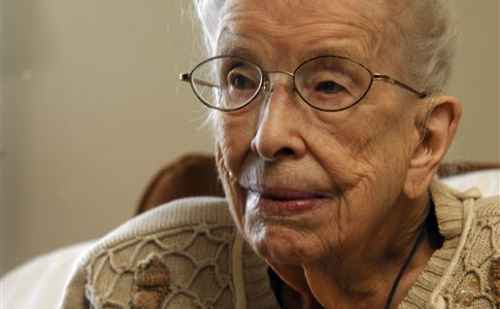 Born in 1909, The Goshen College grad never expected to live so long and isn’t quite sure how she did it. It’s her birthday Wednesday. 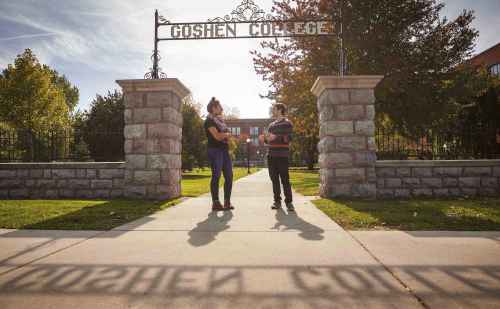 Goshen College started a new class this May where students travel to the jail and learn alongside inmates. A local woman and a Goshen College professor share their thoughts on how the recently deceased writer’s work affected them and our country as a whole. 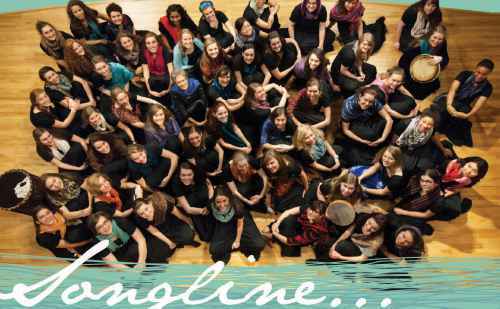 The Goshen College Women’s World Music Choir has released a new CD of world choral music, now available for purchase through the Goshen College Music Center main office. Reps from the African Foundation for Peace and Love Initiatives met with James Brenneman, the college president. They hope an exchange program with schools in the U.S. and Canada can help prevent violence in their home country. 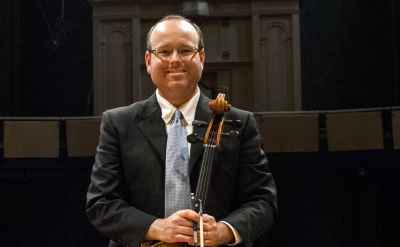 Goshen College Community School of the Arts faculty members Brook Bennett, cello, and Luke Norell, piano, will present a recital in the Goshen College Music Center’s Rieth Recital Hall on Thursday, May 29 at 7:30 p.m.
Goshen College is among the fewer than 300 colleges named to the Colleges of Distinction list for 2014. The college is one of only eight Indiana colleges to be named to the list, and is among 55 Christian colleges listed. Jill Kaufman teaches third grade at Concord Ox Bow Elementary. 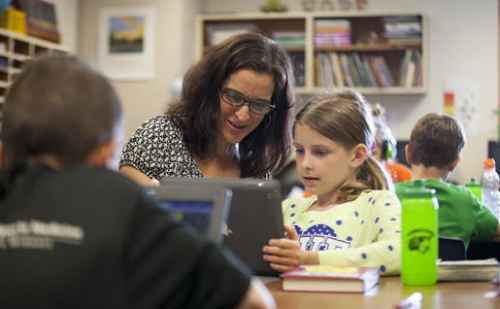 She is just one of just nine teachers statewide who were recognized by the Indiana University School of Education recently. Abbie Miller came to Pittsburgh last August to work as a neighborhood liaison for the Union Project, a community center in Highland Park. 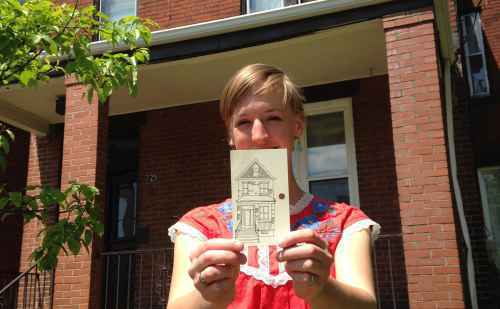 Among the items she brought was a box of old catalog cards from a library in Goshen, Ind. Gretchen Geyer, a senior social work major from Parnell, Iowa, came up with the idea a year ago in a social work class. 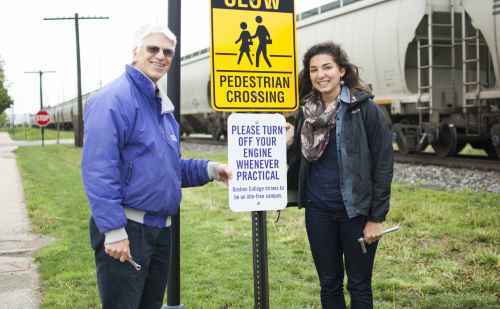 Her efforts to make the Goshen College campus an “idle free” zone were realized last week.